Michele has captured another one! 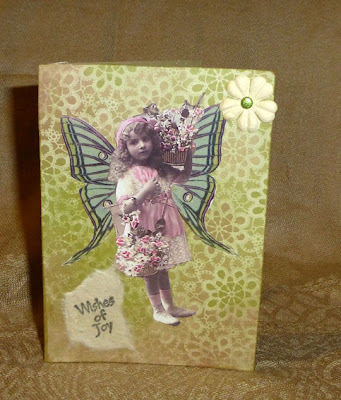 Here is another lovely little garden fairy that we hope will inspire you to create your own for the blog challenge. 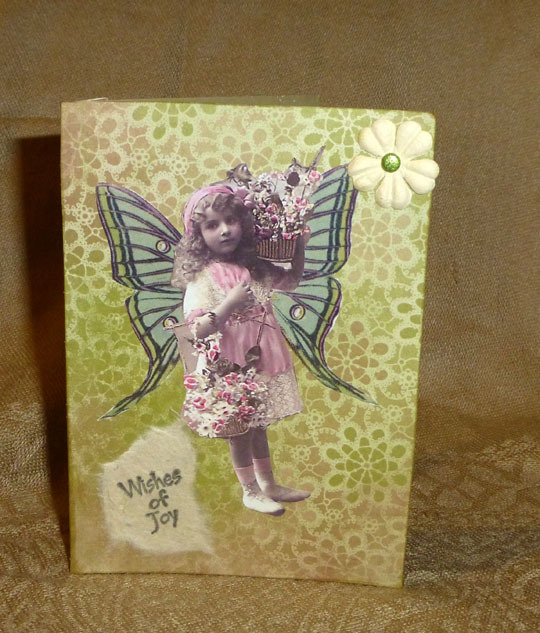 I have always been fond of these luna moth wings I adapted from an antique print, and don't you love her little pink outfit and white shoes? She is certainly loaded down with flowers for someone. Beautiful work, Michele!